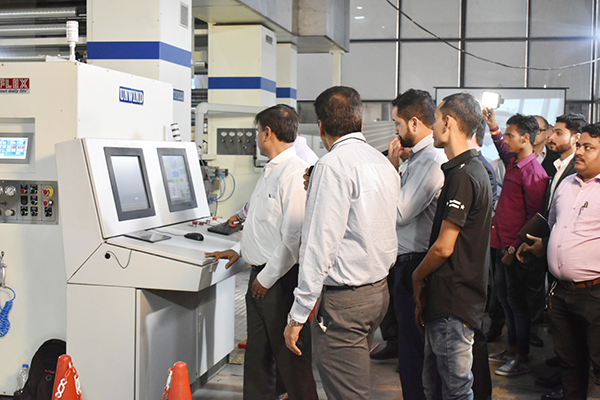 Uflex launched the first ever Made-in-India 8-color gearless CI flexo printing press, Uflexo Elisa, at an Open House organized at its Noida premises on 8 March 2018. The brand new Uflexo Elisa with an additional station for special coating applications is the resultant of a technology transfer agreement that took place during drupa 2016 between Uflex and Italy-based Comiflex SRL to manufacture CI Flexo printing presses. We are even working a step ahead towards IoT (Internet of Things) which is still in the infancy stage where we will like to have failure mode and effect analysis (FMEA) under the IoT based environment which will help identify what should be monitored in the product to minimize potential product failures — Sanjay Malik Sabharwal, executive vice president, engineering business, Uflex Limited. Uflexo comes in two variants –Valle running at 300 meters a minute and Elisa running at 400 meters a minute. 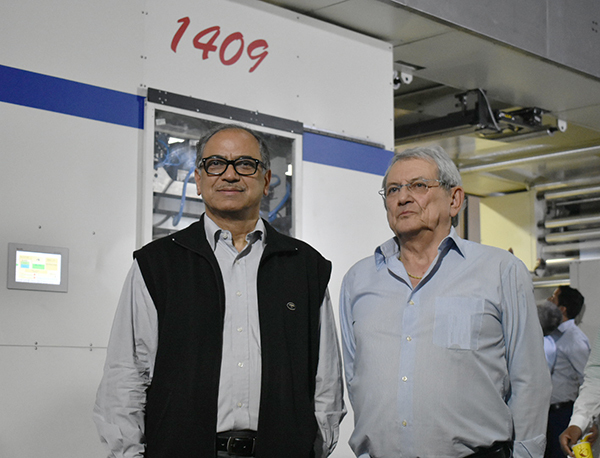 The first flexo press will be commissioned at Uflex’s own converting plant. “We as a practice use the first machine in-house. Only after it is tested and cleared on all operational parameters, we shall start supplying in the open market,” said Ajay Tandon, president and chief executive officer, engineering business, Uflex. The company already has orders for three presses which include one export order and two orders from the domestic market. 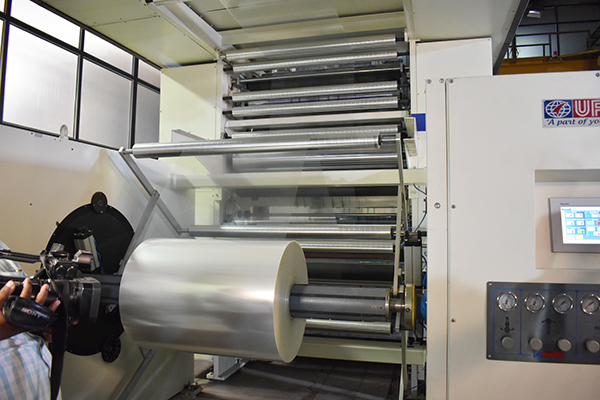 The CI cylinder of the flexo press is double walled, steel drum with 1400 mm diameter mounted on self alignment roller bearings, rectified and provided with water circulating system. Driven by a brushless AC motor with digital servo feedback, the CI cylinder has chrome protection on the surface. For a perfect synchronization between the central impression, plate and anilox mandrels, the CI cylinder is connected in axis with high precision digital ratio encoder connected in axis with the CI cylinder. There is also a thermo-regulator unit with closed loop circuit for the conditioning of the CI cylinder and the two chill rolls.